Variety Description: Boxwood - (Box-Buxus Sempervirens) is a large, but slow-growing evergreen shrub. The small, glossy oval leaves form a dense mass, with inconspicuous, yellowish flowers in late spring. Plant in partial or full shade during the spring or autumn in moist but well-drained soil. 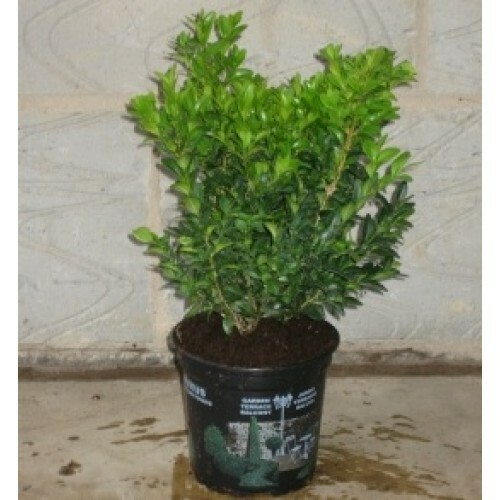 For hedging plant 3-4 x 1.3L plants per metre. Chalk, Clay, Sand or Loam. Ideal Light: Partial Shade, Full Shade. Pruning: As an informal hedge, box requires little pruning. Be guided by the natural habit of this plant. Keep plants to the desired size by pruning back long shoots. 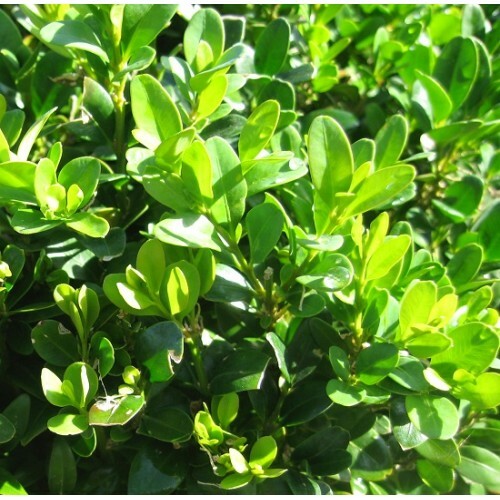 Hedging plants and topiary can be cut back hard when young to encourage bushy growth.